The Nicholas County Literature Fair was held at New Life Christian Academy, on October 16th, 2017, and the NCHS students were a positive representation of our school. Thirteen students attended the fair from NCHS, and every one of them earned 3rd place or better. The names of the 1st place winners from NCHS are Zachery Toler, Hannah Cool, Taylor Brown and Phoebe Kiser, and Trey Comer and Stephen Hayslette. 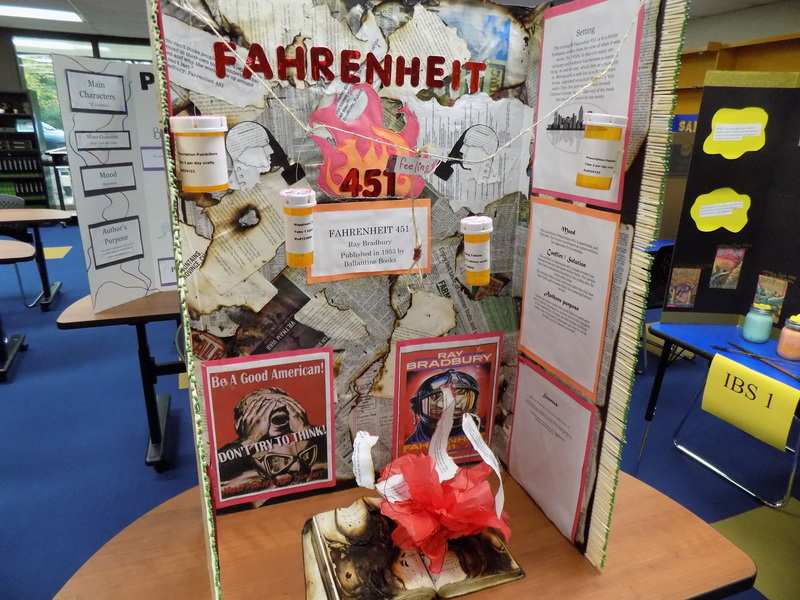 All 1st place winners have the opportunity to present their projects at the Regional Literature Fair, on November 4, at the Mollahan Center at Glenville State College. Students who receive a grand prize award at the regional fair will be invited to showcase their projects during the West Virginia Reading Association Conference on November 17th at The Greenbrier Resort. Mrs. Murphy is also looking forward to seeing our students succeed at the regional level.